In the summer (and, okay, basically every other season), I, Colleen, love myself a boozy milkshake. 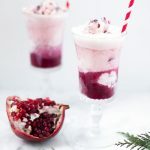 But when the thermometer goes way way up, I prefer something a tiny bit more refreshing, but every bit as decadent: Boozy Salted Caramel Pretzel Root Beet Floats! These really speak for themselves. 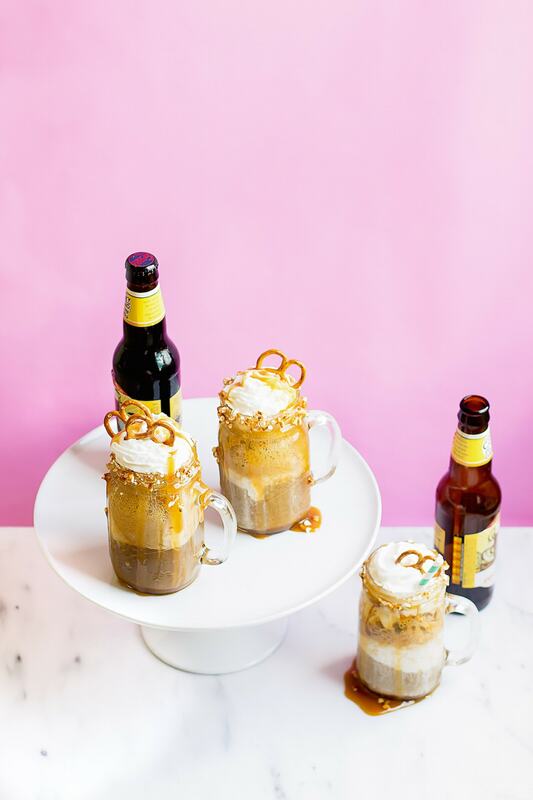 As if root beer floats aren’t indulgent enough, I go right ahead and add booze, salty pretzels, and a generous dribble of homemade caramel to mine. SO worth the effort. And speaking of effort, it’s really all in the assembly. 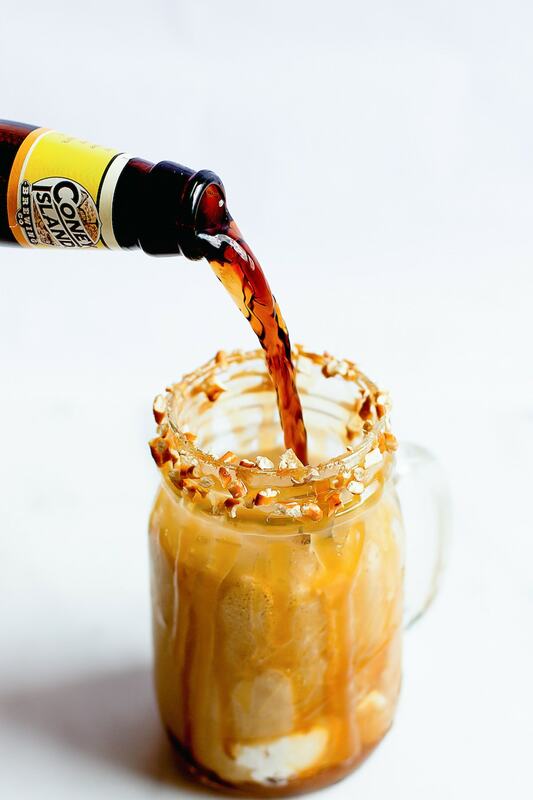 The only thing you’re really truly mixing here is the caramel sauce, which you can make ahead of time. I highly recommend a double batch, because you’re gonna wanna put this salty sweet bourbon-y gold on EVERYTHING once you try it. 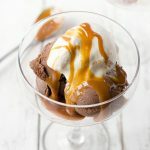 When paired with crunchy pretzels, creamy ice cream, and the zip of hard root beer, it basically fulfills every craving and guilty pleasure in the book. 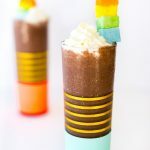 Since the assembly of these floats is pretty easy, they make a great party treat. You can even set up a float bar and make your guests assemble their own! 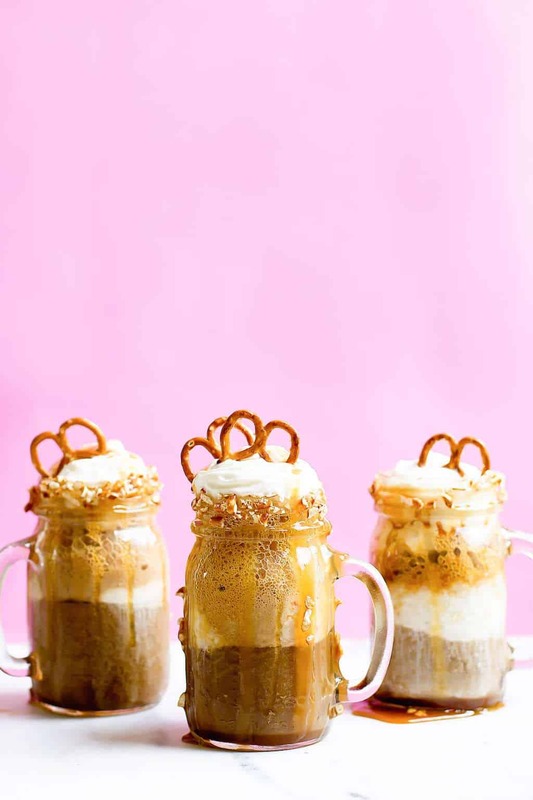 If you want to cool down with the ultimate sweet treat this summer, these Boozy Salted Caramel Pretzel Root Beet Floats are definitely for you! 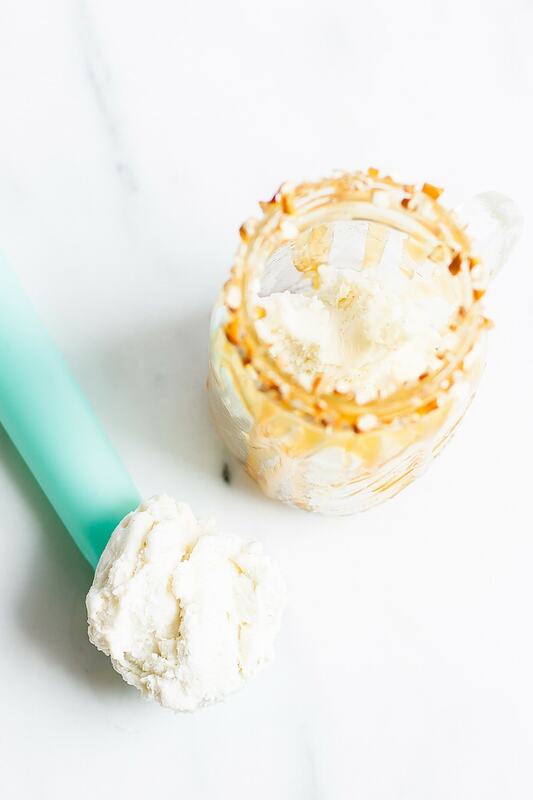 Dip the rim of a tall glass, jar, or mug in the bourbon salted caramel. Place glass in the freezer. Place 1 cup of the pretzels in a food processor and pulse until just broken down (or hammer them in a cloth bag if you don't have a processor). 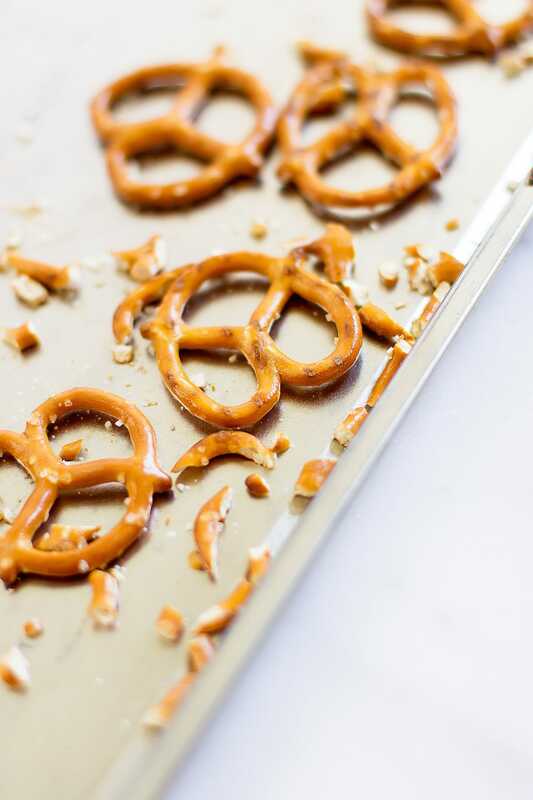 Transfer to a small plate, then remove glasses from freezer and dip each rim in the broken pretzels. Spread some caramel on the inside of the prepared glass. Add ice cream. 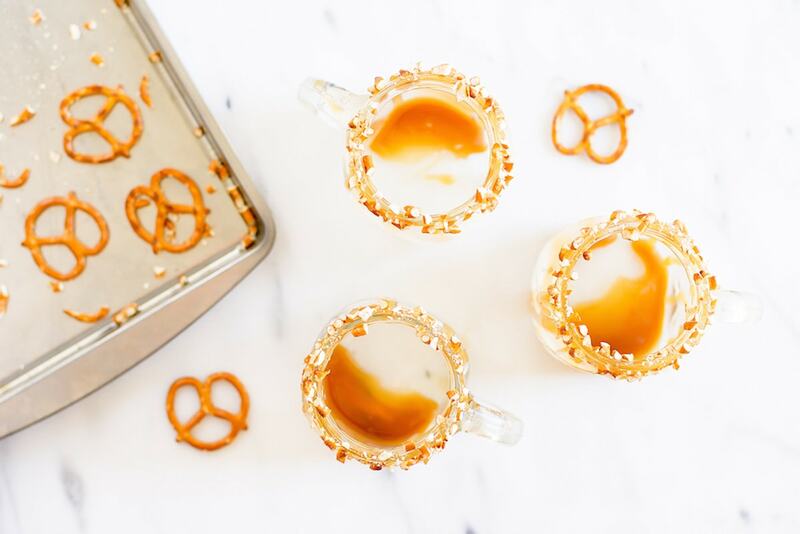 Drizzle with more caramel sauce and broken pretzels. Top with hard root beer, whipped cream, additional caramel sauce, and whole pretzels also dipped in caramel. I serve this with a straw AND a spoon, ’cause let’s be honest, this is basically a sundae. 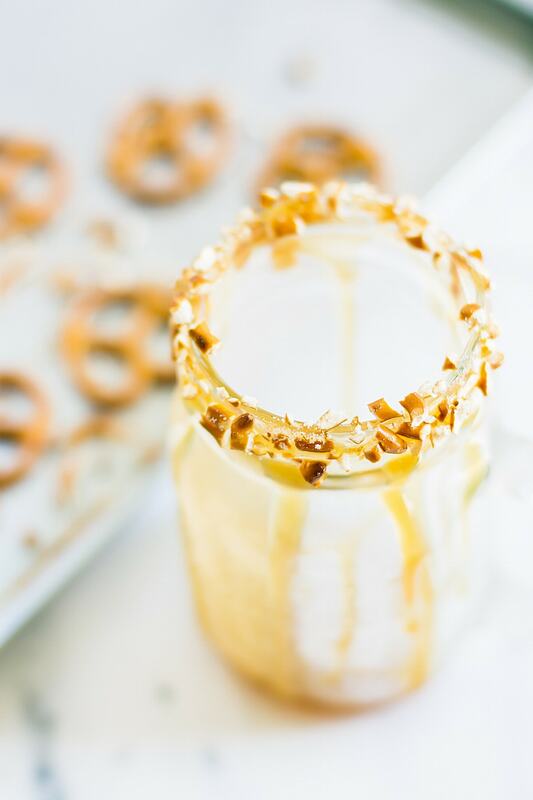 Those willing to get a little messy are definitely rewarded here — the caramel pretzel rim is arguably the best part, but will leave you with a sugary smile! Has anyone else tried getting creative with the new wave of hard sodas out there? 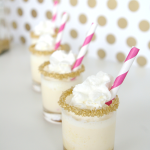 I personally find them a little too sweet to sip on their own, but LOVE them in dessert applications like this float! Holy crap these look unreal!!! 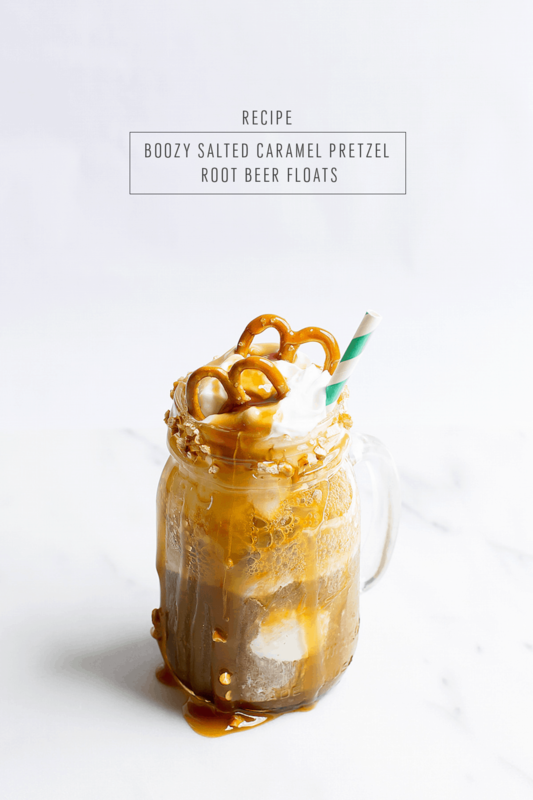 I am pretty much obsessed with the caramel-pretzel combo that seems to be so popular these days…and it’s a root beer float. Sold. Glad you liked it, Sahara! So glad you enjoyed reading the recipe, Jessica!